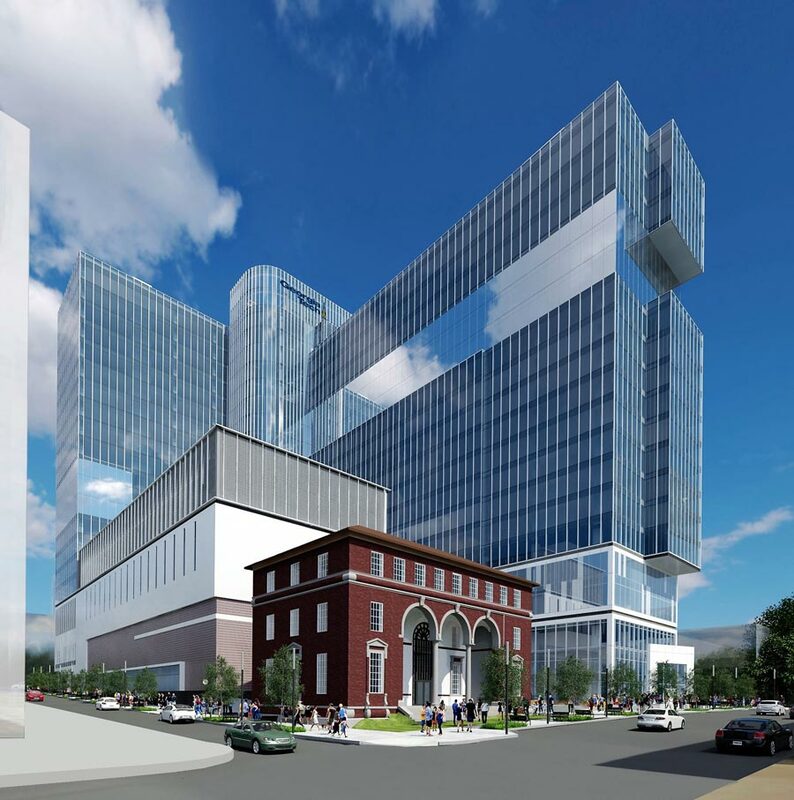 The Georgia Institute of Technology (Georgia Tech) asked the Atlanta firm to design Coda, a 750,000-square-foot mixed-use complex with some unusual features. 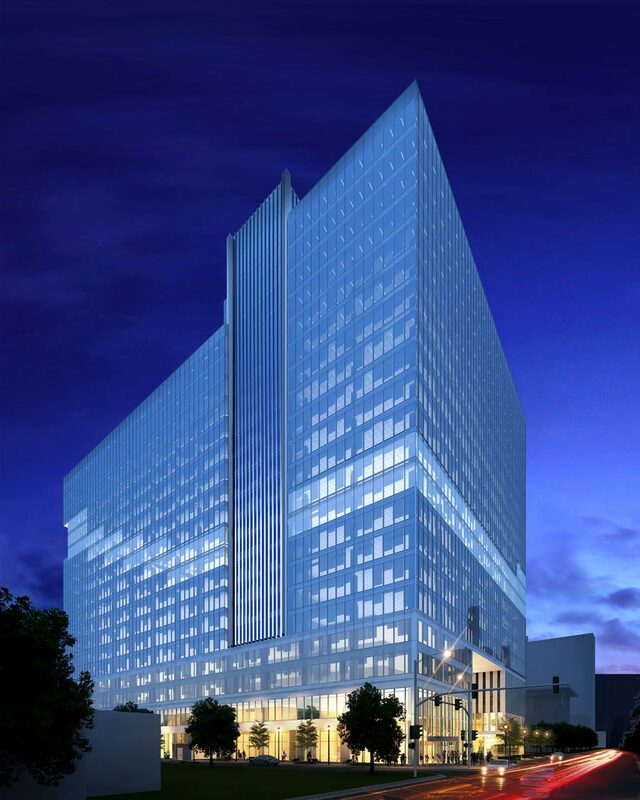 John Portman & Associates (JPA) has unveiled the design for a hybrid complex in Atlanta that blends classic Portmanian forms with a distinctly 21st-century approach to urbanism. 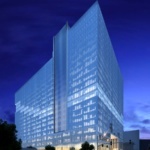 The Georgia Institute of Technology (Georgia Tech) asked the Atlanta firm to design Coda, a 750,000-square-foot mixed-use complex with some unusual features. 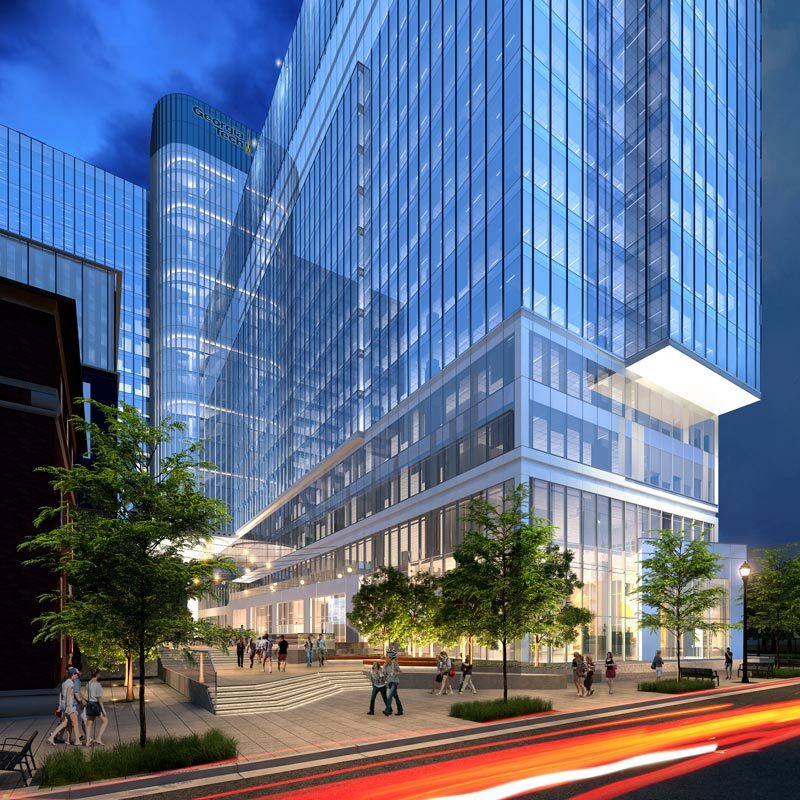 The development is a key addition to the school’s Tech Square, a mini-neighborhood in Midtown planned in the early 2000s as a hub for education, operations, and real-world learning. To embody its future-forwardness, Georgia Tech wanted to move away from stately collegiate brick towards a glass-clad mix of education space, offices, and an open-air gathering space that ties Coda to its surroundings. Though firm founder John Portman’s work defines the city’s skyline, some critics maintain that his theatrical-but-insular designs do little for the city streets. 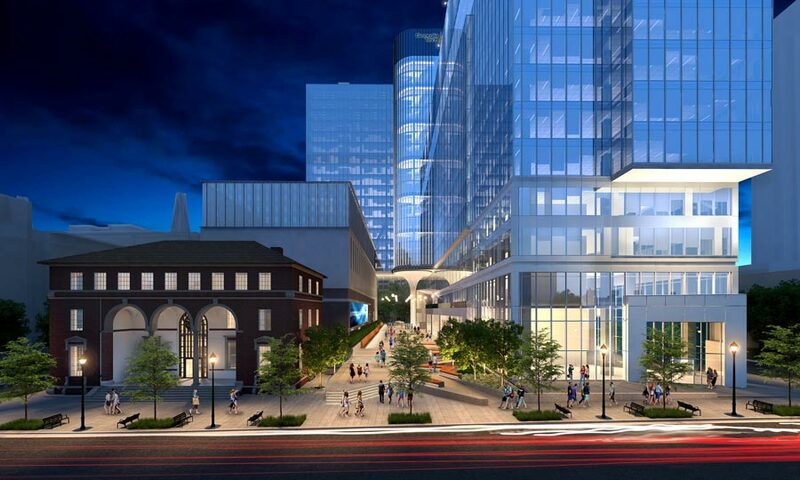 Instead of reproducing the forms for which Portman is best known, for this project JPA extended a core atrium outdoors to create a public plaza and mid-block conduit to nearby development. 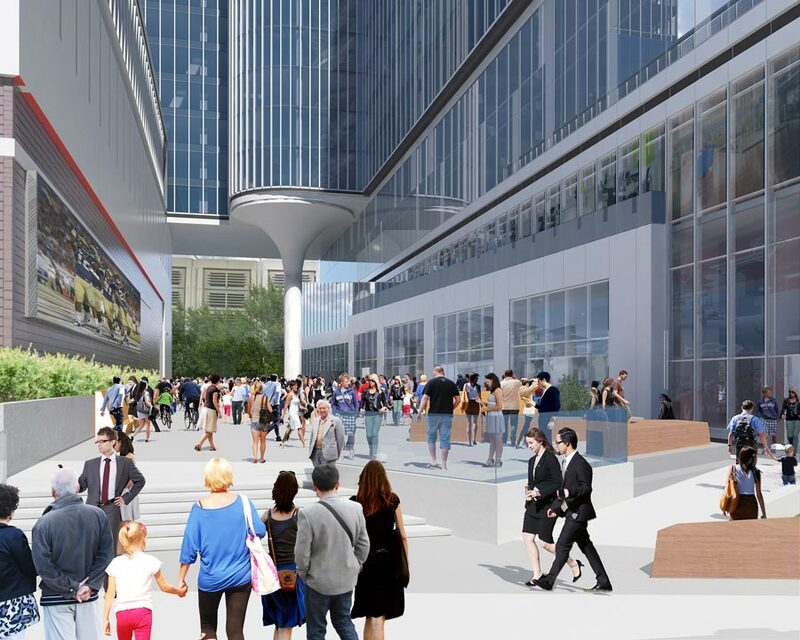 Furnished with long, zigzagging planters that double as seating, the “outdoor living room” will parallel a multistory indoor piazza where local food vendors and two anchor restaurants should sustain the area’s activity even after the office workers go home. 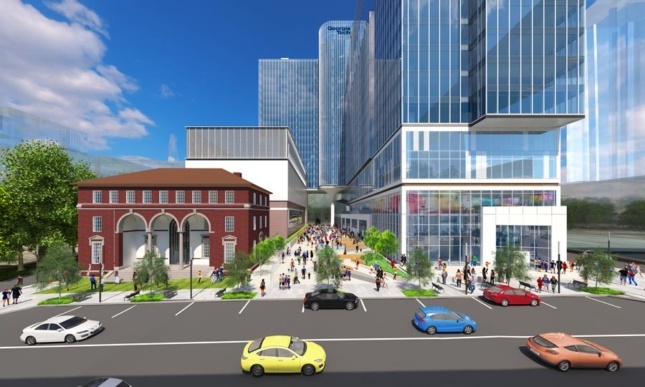 The development builds on similar context-focused developments, like the revamp of Colony Square, but it is especially well-positioned for placemaking: The nearby intersection of 5th and Spring streets, Maffey said, is the busiest by foot traffic in Atlanta. In addition to its more traditional elements, Coda, bounded by 4th, West Peachtree, and Spring streets, hosts a program not found on the typical campus. 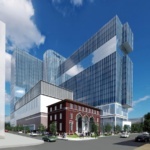 To support the high-performance computing modeling, JPA was asked to design a 63,000-square-foot vertical data center that sits behind a cherished 1920s building on the site. Prior to this project, the building’s footprint was reduced by a partial demolition, but its Italianate character remained. To honor the remaining structure, the design team arranged the tower’s lower massing to dialogue with the scale and proportions of the older building without swallowing it.